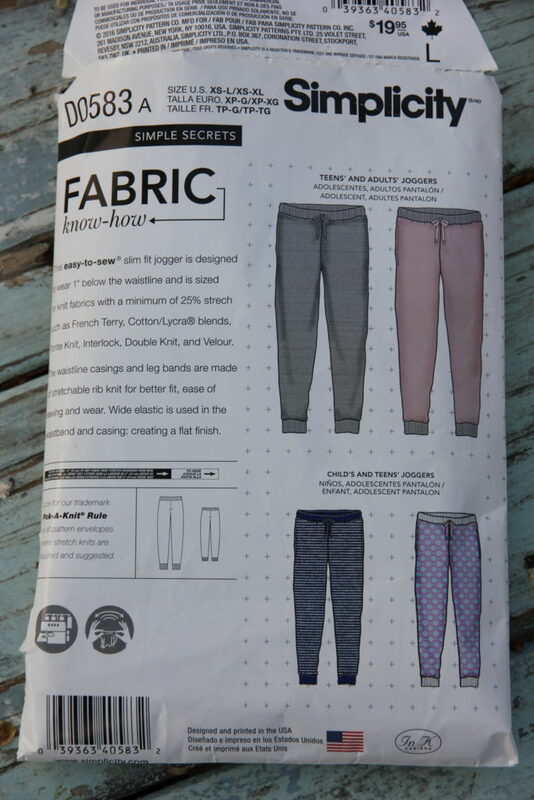 I was curious to try Simplicity 8268 AKA Simplicity D0583,as they looked a lot like the popular Hudson pattern , and a common ready to wear basic sweat pant. 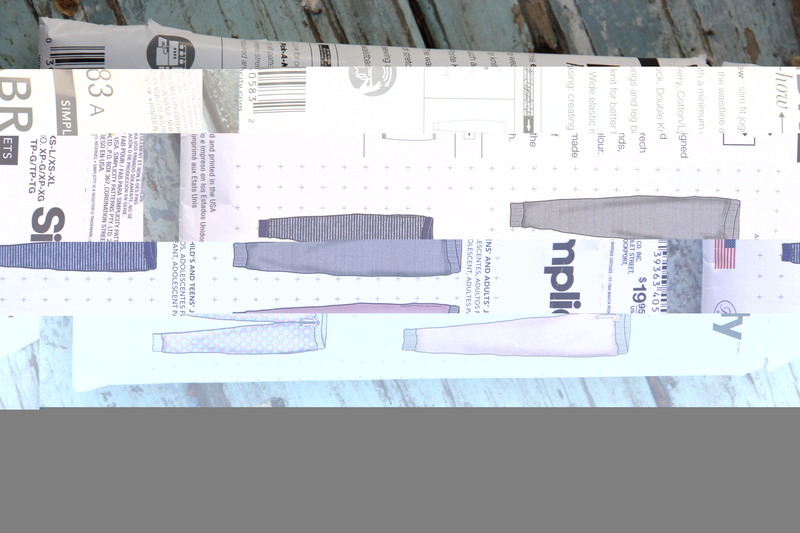 I used to buy basics like this, I have a pair I bought at Wal Mart a couple of years ago that are falling apart, but I find I’m making most all of my clothes lately. There was a sale at Joann so the pattern was only a dollar. I’m not sure why the envelope says D583 yet the number on the pattern sheet and directions says Simplicity 8268 so I’m listing both numbers. 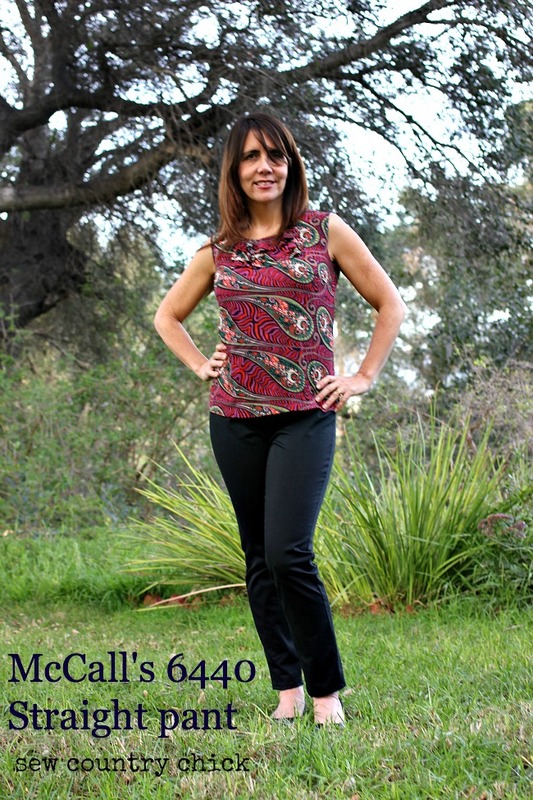 So how bad could Simplicity 8266 be? Really bad. 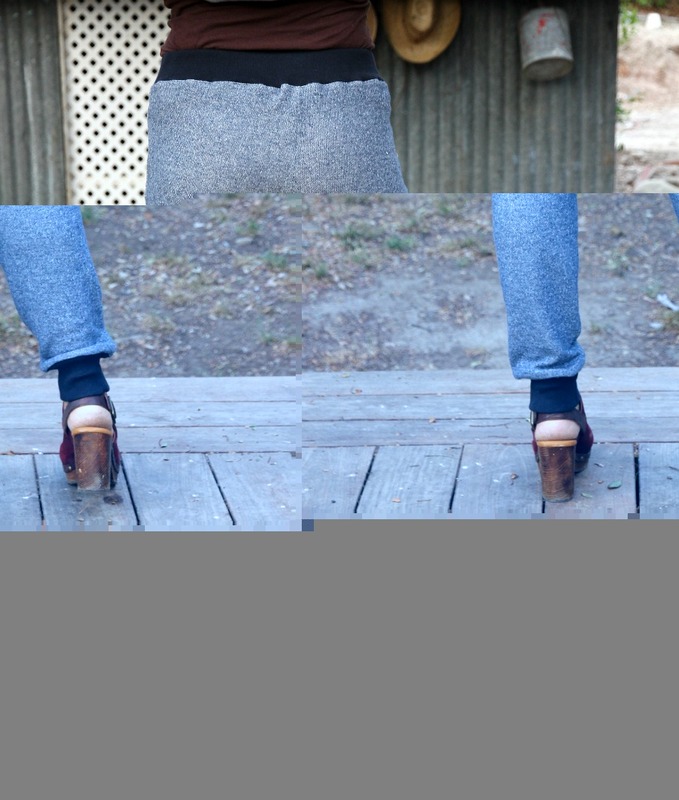 The photo above shows my pants after I took them apart and resewed them with big changes. I’m still not thrilled with them, but they are fine for wearing around the house or out with a top covering the waistband, which looks very homemade. 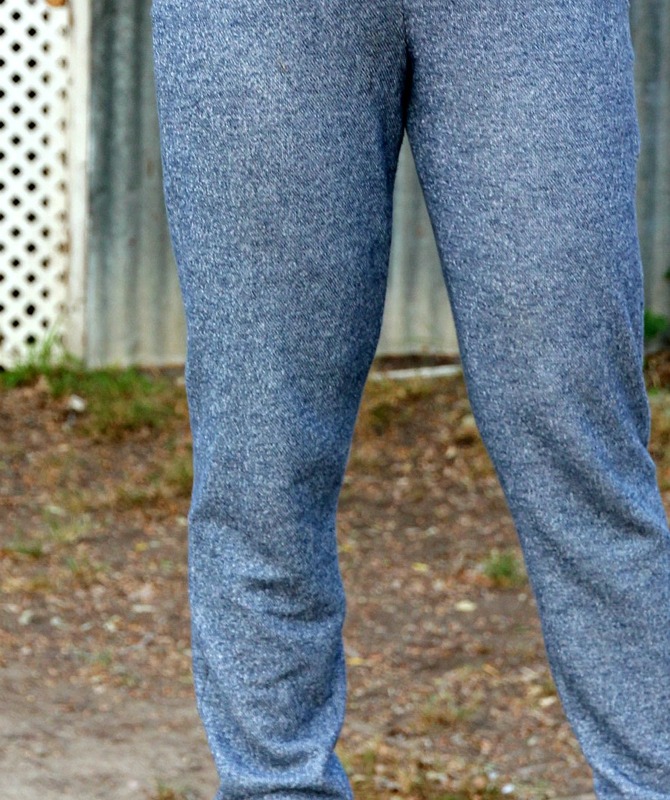 I normally would not have bothered to take apart a simple pair of sweat pants, unpicking seams in knits is a nightmare, but I really loved this soft cotton terry fabric kindly sent to me from The Confident Stitch and wanted to save them! It’s a cotton French terry from the Splendid Company, they make some of my favorite t shirts, so I knew the fabric would be soft and not too heavy. First, I cut an adult size small. I don’t like a lot of ease. I removed the pockets and resewed the side seams which were huge and bulky and flopped around and did my hips no favors. My mom laughed so hard when she saw the first version of sweats on me. Not a good sign. The pockets were so long, almost to my knees! The side seam pocket, sewn from the directions, also gaped out from the hip, and was very unflattering. 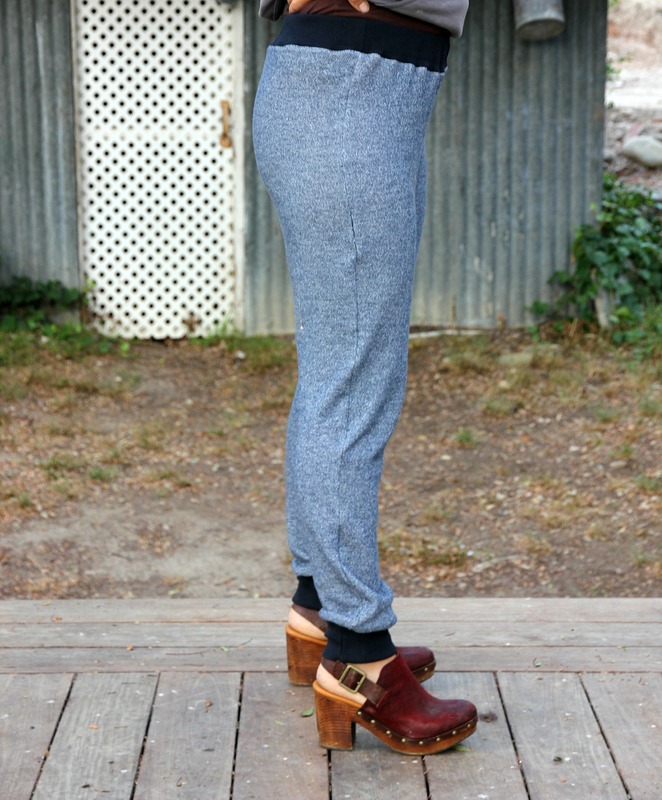 Add to that the extremely long crotch and you start get the picture of a ridiculous pair of pants. I removed three inches of length from the front crotch rise. They were so long as I had originally sewed them that they looked like a harem pant. Or a men’s pant. I removed an inch front the back rise and sides as well. I will add a slash front pocket to my next version. Now that I made these changes I can keep this pattern. But I also don’t like how homemade the waistband looks. I may make my next waistband wider and sew channels to add a drawstring. Anyway, shame on Simplicity for yet another poorly drafted pattern. It’s so hit or miss with them. 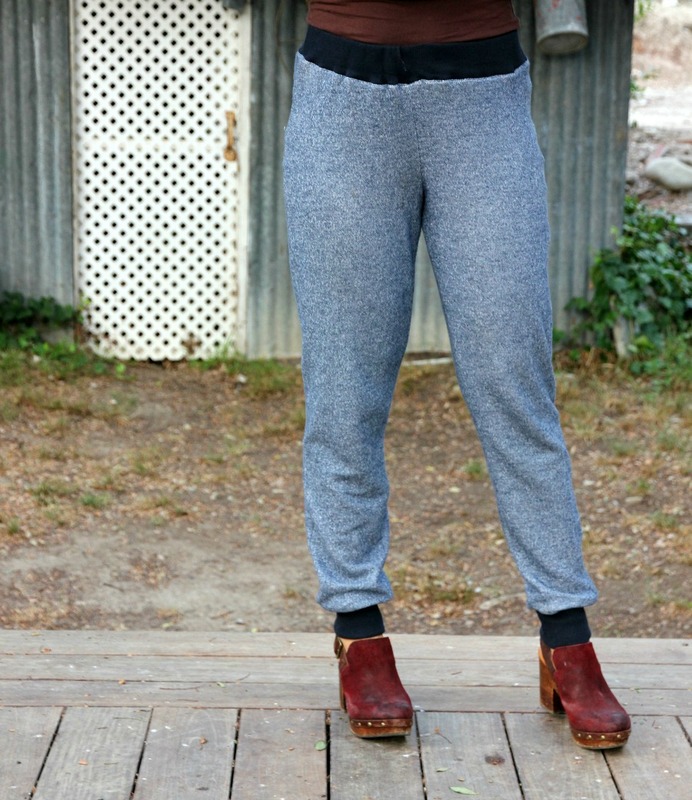 I have pretty average measurements and should not have had to make so many changes to get a wearable pair of sweats. Even at a dollar, the frustration of sewing this just wasn’t worth it! It stinks that the pattern did not work well for you! It is one of my tried and true patterns! I make a much smaller size than I would expect to and I leave the pockets out because I am too lazy to bother. I have made them with and without the cuff and like them both ways. What size did you make Louisa? I measured the front rise which was 11 inches and compared it to my old wal mart skinny sweats. The rise on my store bought sweats is 7 inches, not including the waistband. I’m glad you had a good experience with them Sandy. I have found them very nice to work with. I’m right there with you Shirley. I still use Big 4 because I bought so many at those Joann sales but I’m considering donating a lot of them and have been avoiding buying more. Also , I’m cheap about patterns! So far my favorites are Jalie.They are so worth it since there are so many sizes and the drafting is great. I giggled too reading your description of how your pants originally turned out but after all your fiddling they came out pretty good! I don’t use a lot of Simplicity patterns (they don’t sell them here in Canada) but I used to (40 yrs ago!). So far my favourite pattern for pants is Sandra Betzina’s V1411 which just happen to be on sale now 🙂 They are amazing and I made a pair in french terry that I wear all the time.